Sam Sherwood was watching his friend Adam Porter as he waited to catch a wave along an isolated stretch coastline near Dudley Point, Australia when he spotted what looked to be a tiger shark approaching. "I saw it come up to him pretty close and I was getting ready to ring someone as I was sitting there watching it," says Sam. Adam spotted something too-a large fin moving towards him near that appeared unlike those belonging to a pod of porpoises he'd seen swimming nearby, one that struck him with an "uneasy feeling in the water." "I didn't really appreciate what was going on at the time," Adam tells the Newcastle Herald. "There was the one fin first up, so I thought it was a porpoise. 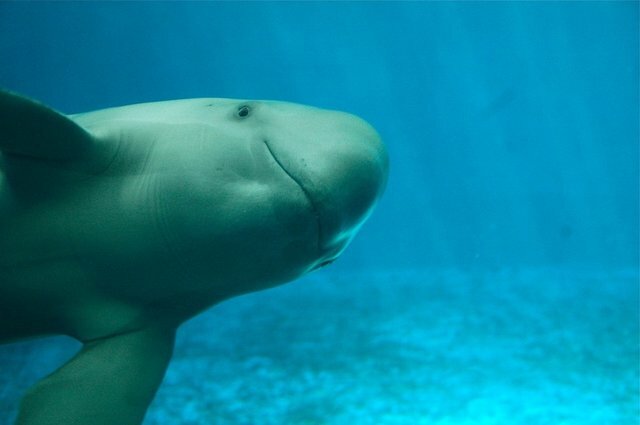 Then these real porpoises came along." Sam says that he saw the pod too, moving within feet of of his friend which, the pair is convinced, helped drive the shark away. "I feel pretty lucky like they protected me. The shark came about three meters away from me. I got pretty close to the porpoises – about a meter and a half," says Adam. While it's impossible to say for certain whether or not the pod was in fact protecting Adam from a shark, it wouldn't be the first time our aquatic mammalian counterparts came to the rescue. In 2008, while surfing near Monterey Bay, Todd Endris was attacked by a Great White shark. After he was pulled under, witnesses observed a group of dolphins appear, batting at the shark with their tails. When the shark finally released Endris, badly injured, he says the dolphins formed a protective circle around him, keeping the shark from biting him further. In 2004, a group of lifeguards swimming on the coast of New Zealand suddenly found themselves encircled by a pod of dolphins, churning the water with their tails for 40 long minutes. While they were initially confused by this behavior, one of the lifeguards reported seeing a large shark swimming beneath them, effectively held at bay from attacking by the dolphins, which stayed nearby as they swam to shore. In yet another incident from 1996, a British tourist swimming in Sinai was bitten by a shark. By the time the boaters arrived to help, they found the man, injured but alive, being circled by dolphins. Experts say that numerous incidents of dolphins protecting humans have been noted, though the origin of this behavior remains uncertain-however, it does hint that these mammals possess a heightened level of intelligence and empathy, about which we are only beginning to understand.